Telephone bookings can be made by calling Warragul reception on (03) 5622 3377 or Drouin reception on (03) 5625 5044. When booking appointments please advise reception with the type of booking so the correct length and type of appointment is made for you. 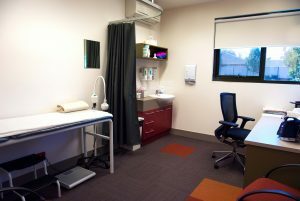 Why not try the Clinic online appointment facility for both Drouin and Warragul sites. This is offered for existing patients only. Emergencies will always be given priority and our reception staff will attempt to contact you if there is an unforeseen delay. All patient consultations at the Drouin Clinic will be bulk billed. Pensioners, health care card holders and children under 16 will be bulk billed at the Warragul Clinic. Other patients at the Warragul Clinic will not be bulk billed. Make a booking directly in your browser, or download our booking app! Book online to avoid delays and hassle. If you are already a patient at Central Clinic, you can use our online booking form or app to secure the first available appointment.